The past 12 months have made manifest many things this Royals fan wasn’t sure he’d ever see again. I watched the Royals qualify for the postseason last year for the first time since 1985. I watched as they came back three times to win the most exciting contest in the short but illustrious history of the wild-card game. I watched them win the American League pennant. I watched Game 7 of the World Series from Kauffman Stadium. But until yesterday, I had never seen them go all in at the trade deadline. No one had. What the Royals did in shipping three left-handed pitchers (Brandon Finnegan, John Lamb, and Cody Reed) to Cincinnati for Johnny Cueto was utterly without equal in the history of the franchise. The Royals have traded prospects for short-term help in the past, but always in the offseason. Some of those trades (four prospects for James Shields and Wade Davis in 2012) worked out despite skepticism, and some (four prospects for Vida Blue and the fumes left in his tank in 1982) did not. But none were made midseason, and none involved so boldly and baldly sacrificing future talent for a massive but brief upgrade. Even when the Royals won the World Series in 1985, or won four division titles in five years from 1976 to 1980,1 they adhered to a conservative, build-from-within approach. Last year, it wasn’t clear whether the Royals were better off buying or selling when they were 48-50 in late July. Their big trades down the stretch were for Jason Frasor and Josh Willingham. Absent any precedent for yesterday’s trade, pardon us Royals fans if we’re still not entirely certain how to react to the new order. Having only recently learned what it’s like to root for a contender, and then a playoff team, we’re still learning how to handle the inevitable taxes on the wages of success: cashing in farm-system chips down the stretch to acquire the missing piece. As strange as it is that the Royals landed this summer’s big whale, it’s even stranger that, strictly speaking, the Royals didn’t have to make this trade to secure their playoff position. Even though they went to the World Series last year, the Royals haven’t accomplished two notable things since the 1980s: winning 90 games and winning their division. But after winning 15 of their past 21 games, the Royals are 59-38 and could play under .500 the rest of the season and still go 91-71. Their 7.5-game divisional lead matches the largest the Royals have held at any point since 1980. With the Tigers potentially ready to throw in the towel at the deadline, the Twins might be the only team even putting up a nominal fight over the next two months. Various projection systems put the Royals’ odds of winning their first AL Central title at about 90 percent. This time last year, trading three good prospects for a two-month rental for a team that’s likely to run away with the division anyway would have seemed like the height of excess for the Royals and their fans. Just making the playoffs was the goal, the thing that would make the season a success. That the Royals would make this trade now — with the full-throated support of fans eager to see the team go all in — reveals how much has changed in a year. If the goal were simply to make the playoffs, the Royals might have less need for Cueto than any other contender. But that’s not the lone goal anymore; it’s the means to an end. The only way to wash out the aftertaste of falling one base short of keeping the dream alive last season is to win it all, and the clock is ticking on this iteration of the Royals: Alex Gordon is a free agent after the season, while Eric Hosmer, Mike Moustakas, Lorenzo Cain, Danny Duffy, and Wade Davis could all leave after 2017. Cole Hamels’s no-hitter notwithstanding, Cueto is almost certainly the best pitcher that will change hands this season. (Hamels may have more long-term impact because he is under club control through 2019, but over the next two months, Cueto is likely to be the better pitcher.) Even the hardest graders acknowledge that Cueto is a true ace, a no. 1 starter, the kind of guy every team would feel comfortable opening a playoff series with. And a no. 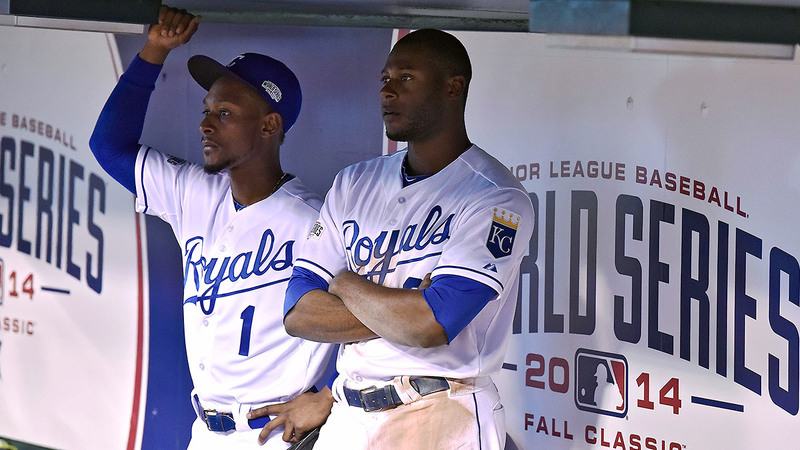 1 starter was the one thing this best-record-in-the-AL Royals team lacked. Edinson Volquez has been a terrific free-agent signing to this point, a reliable and above-average starting pitcher. Yordano Ventura has the stuff to be a no. 1 starter, and every now and then he has the results befitting one, too. But the Royals didn’t have an ace. They’ve compensated for their lack of one these past two seasons as well as any team in baseball ever has, thanks to a bullpen that defies adjectives to define its greatness, and a defense that makes mediocre pitchers look good and good pitchers look great. And last year, the Royals rode that exact formula to Game 7 of the World Series. But they lost Game 7 (and Game 1, and Game 5) because the Giants had Madison Bumgarner, and the Royals didn’t. Cueto can’t be expected to pitch nearly as well as Bumgarner did last October, because no pitcher in the history or future of baseball can be expected to pitch as well as Bumgarner did. But Cueto, pitching in this ballpark, with this defense, in front of this bullpen, possesses all the ingredients necessary for a magical October. And that’s what the Royals are banking on. How Cueto pitches in August and September is almost immaterial. He could pitch like crap and it probably won’t cost the Royals the division title; he could pitch like Doyle Alexander in 1987 and all it would do is secure home-field advantage. This is all about how Cueto pitches in the playoffs, and as Kershaw will tell you, the sample sizes involved are simply too small to predict anything. There is risk here. Cueto’s health is not ironclad. He missed two starts earlier this season with elbow soreness. His postseason experience is limited: The last time he appeared in a postseason game, he was so spooked by the raucous, first-time-in-20-years playoff crowd at PNC Park that he dropped the ball on the mound, and got shelled for eight hits and four runs in 3.1 innings. But the biggest risk here is simply the inherent danger that comes with any trade made with an eye on winning in the postseason: Anything can happen in a short series. Finnegan was a starter in college and began his pro career the same way, but moved to the bullpen when he got called to the majors last August because the Royals had an immediate need for a reliever, and I’d say that worked out well for all concerned. 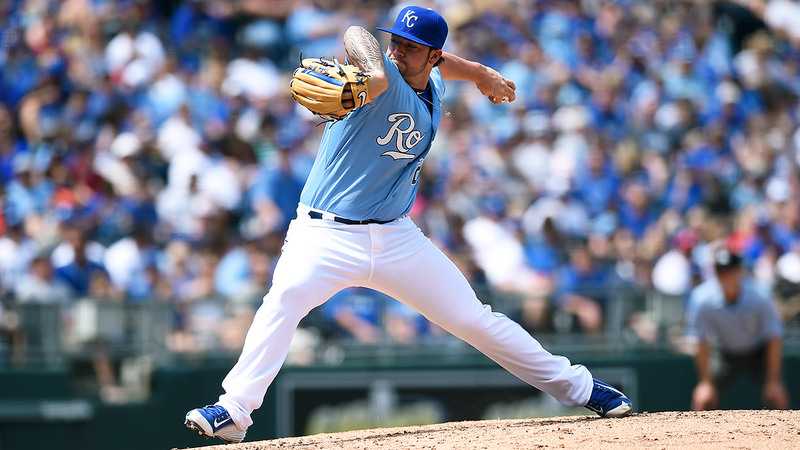 Expected to go back to the minors this season to further develop as a starting pitcher, Finnegan has instead been a victim of the Royals’ expediency, pitching out of the bullpen while riding the shuttle back and forth to the minors four times as the need for him came and went. Finnegan is the big name going to Cincinnati, and he’s the big gamble by the Royals. In making this trade, the Royals are signaling their lack of faith that Finnegan has the stuff or the command to be a front-line starter. He’s already proven he can be a late-inning left-handed reliever in the major leagues. If it turns out that’s all he is, well, you’ll trade a good young reliever for a two-month rental of an elite starting pitcher every time. (Even more so if, like Moore, you’ve had a knack for putting together elite bullpens every year.) But if Finnegan successfully transitions back to being a starter — and the Reds have every intention of letting him try — the next six years could be awfully bittersweet for Royals fans. That the Royals were able to make Lamb and Reed the second and third players in this trade is a huge success for the organization’s player development department, because four months ago, the idea of trading Lamb and Reed for anything of value was far-fetched. Four years ago, when the Royals had the most highly rated farm system anyone had ever seen, Lamb was arguably the best of their pitching prospects. But after undergoing Tommy John surgery in 2011, he returned with 5 mph missing from his fastball, and until this season looked like organizational fodder at best. But this season, his fastball started ticking back up into the low 90s, and he added a cutter that compensated for the lost luster of his changeup. He had a 2.67 ERA in 17 starts in Triple-A this year, with 96 strikeouts in 94 innings, and had reestablished himself as someone who could be a back-end starter in the majors. Reed, meanwhile, looked like another in a line of unending failed second-round picks the organization had made in the past 20 years. (Since drafting Carlos Beltran in 1995, the most successful second-round pick the Royals have made is probably Johnny Giavotella.) Reed was drafted two years ago as a talented but raw left-hander and started his pro career with a 6.07 ERA in rookie ball; the following year he advanced to low-A ball and improved his ERA to 5.46, allowing 105 hits and 36 walks in 84 innings. But this season, after he finally incorporated some major changes to his delivery that the Royals had been pushing, he’d been the breakout pitcher in the system, advancing to Double-A with a 2.53 ERA in 96 innings, with 26 walks against 84 strikeouts. Neither Lamb nor Reed made Baseball America’s list of the Royals’ Top 30 prospects before the season. That today they are key parts of a trade for one of the most coveted hurlers on the market is a tribute to the Royals’ frequently maligned pitcher development. The Royals traded for Cueto without giving up their best prospect (shortstop Raul Mondesi, who is in Double-A and just turned 20 today), or their best pitching prospect (Sean Manaea), or their two recent no. 5 overall picks with major risk but massive upside (right-hander Kyle Zimmer and outfielder Bubba Starling). They got Cueto for Finnegan and two guys they couldn’t have given away in the offseason. And they still have enough farm-system depth to make a deal for a bat, should they choose. There is absolutely a chance this deal backfires on the Royals. If two of the three pitchers they gave up turn into at least mid-rotation starters, well, 12 years of cost-controlled starting pitching for two months of an ace is a hard equation to balance. But there’s also a scenario in which Finnegan winds up in the bullpen permanently, and neither Lamb nor Reed retains the helium that put them back on the prospect map this summer. But what ultimately will determine whether the Royals win this trade is the thing that they have the least control over: how Cueto pitches over the course of maybe a half-dozen starts in October (and hopefully beyond; Game 7 of the World Series is scheduled for November 5). Like the last time the Royals made a trade that got everyone buzzing, when they acquired Shields and Davis, they didn’t make this trade because of what they were giving up, but because of what they were getting in return. They didn’t get a guaranteed world championship in return, because those aren’t available on the trade market. All a contender can do is make moves to maximize its odds of success. And by adding a true ace to go along with their world-class defense and universe-class bullpen, the Royals did just that. The results may not turn out to their liking, but you can’t judge a trade by the results, only by the process. During the lean years in Kansas City, Moore used to tell a much more skeptical fan base to Trust the Process. He doesn’t have to tell us that anymore. Back when they were in the AL West.